Hello friends! 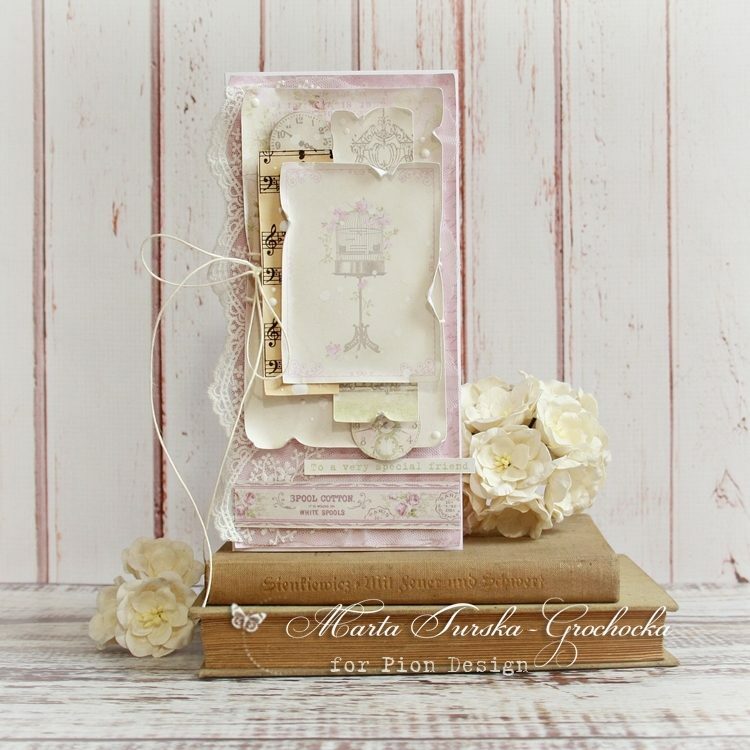 Today I would like to show you my DL romantic card which I’ve created using Where the Roses Grow paper collection – the newest paper collection by Pion Design. 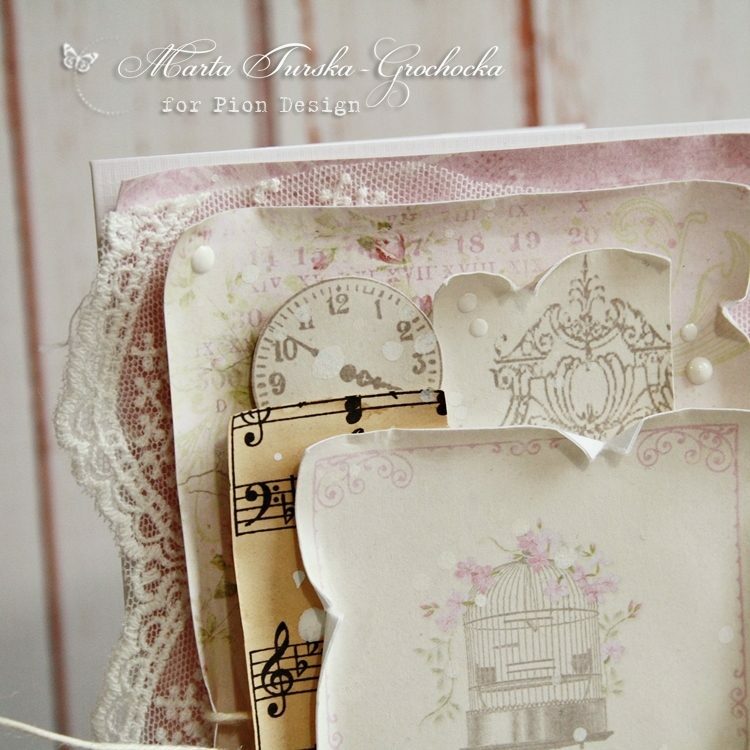 I used a vintage graphic with the birdcage, it’s lovely and romantic. 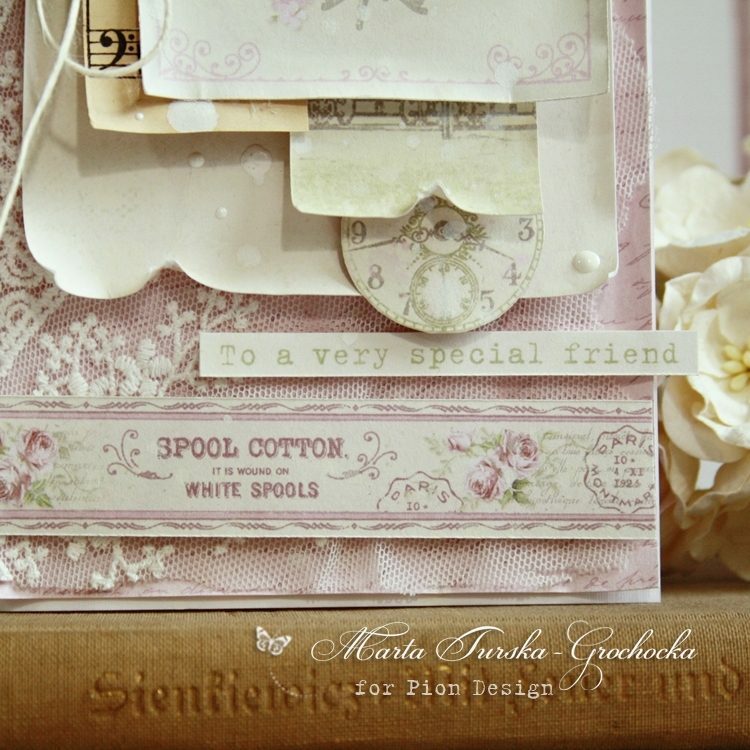 I used some vintage clocks graphics from the paper sheet and a lovely border.